Exclusive! Perfect for a day of fun in the sun, or at least wishing you were back at the beach with your toes in the sand! 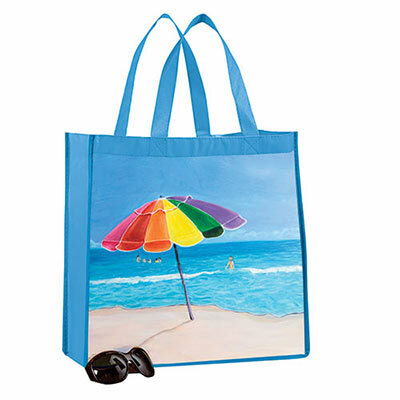 Our fun, roomy Beach Umbrella Tote features original artwork printed on both sides. Durable, non-woven polyester coated for easy cleaning. Imported. 14"w, 12"l handles.